Lace always has a place on the runways and spring 2013 is no exception. Lace has graced the catwalks of designers such as Valentino and Burberry and so of course we have seen this spill onto the high street. 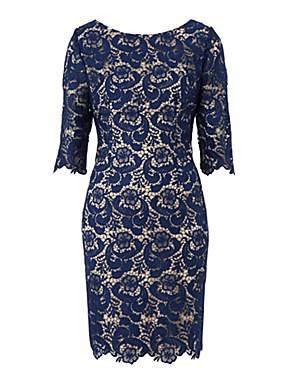 These dresses are some of my top picks from House of Fraser and you can see more dresses like these on the website. However don’t be fooled into thinking that dresses are the only way to wear it; the wonderful thing about this trend is that it can be worn in so many different ways. So whether you’re edgy, sophisticated or wild get some lace in your life! 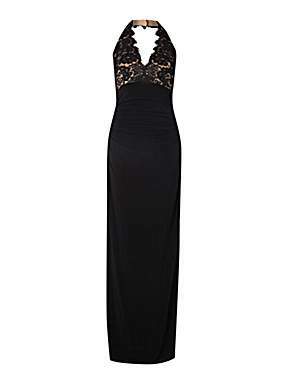 The first way to wear lace is a sophisticated dress like the long halter dress above. Think red carpet chic. Just you, an amazing dress and a few killer accessories. This is the perfect look for any party. The trick is to keep it simple; you want your dress to be the focus. 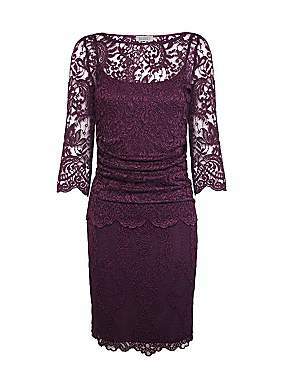 There are some amazing lace dresses in deep sultry colours like oxblood and burgundy or even a forest green would have the same effect. A step down from sultry is feminine; this can be light, floaty and elegant. White, neutral tones and pink hues are beautiful in lace and give you that effortless grace we are all striving for. This is a very elegant way to wear the trend and the best part is that it suits most people regardless of age or skin tone. Even if dresses aren’t your thing you can still wear the trend. Try pairing a lace top with a structured blazer or tailored trousers for that feminine meets masculine look. Lace and leather look great together and the different textures will keep your outfit interesting. If you think that lace is too dull for you, think again, fluro lace could be the look for you. 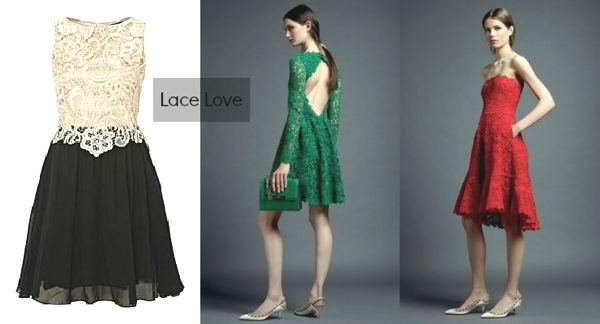 Neon brights paired with lace material is edgy and different and will mean that your style is on point. This look is only for the brave but if you wear it confidently you’ll be turning heads. Finally for those who are not completely converted by the lace trend and would just like to test the waters, try accessorising. You can get lacy jewellery and lace collars that will instantly update any outfit. 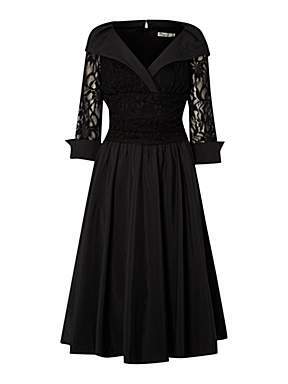 You can even get lace detailing on coats or for a subtle look simply try a pair of lace tights, there is no excuse for not being on trend this spring. 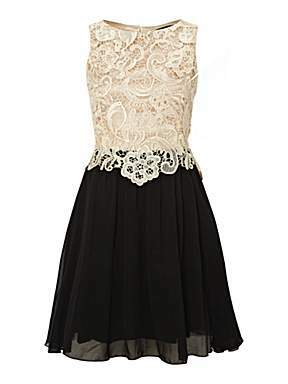 Lace is a great trend that sticks around because it is so wearable. It is timeless, ageless and chic. It really doesn’t matter if you’re 15 or 50 there will be a way for you to embrace the trend. Πολύ ωραία ανάρτηση. Χρήσιμη και ενημερωτική. Μπράβο σου! Thanks Tania!!! I will do right now!